Federica Mogherini will arrive in Kiev to discuss the Ukrainian crisis with President Petro Poroshenko, the government and the civil society. 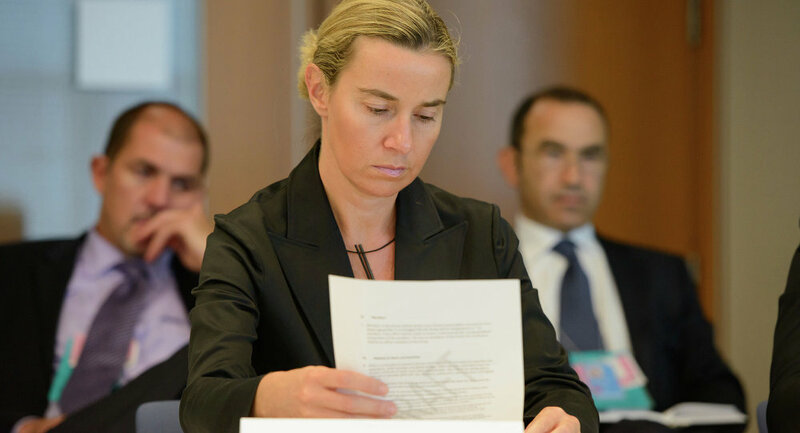 BRUSSELS, December 11 (Sputnik) – EU High Representative for Foreign Affairs and Security Policy Federica Mogherini will visit Kiev on December 16 to discuss key reforms and a way out of the ongoing Ukrainian crisis with Ukraine's President Petro Poroshenko, her spokeswoman Maja Kocijancic said Thursday. "On Tuesday afternoon, Ms. Mogherini will travel to Kiev where she is to meet with the president [Poroshenko], and also with representatives of the government, the parliament and the civil society to continue the dialogue on what the European Union could do to help Ukraine out of the crisis, as well as to support necessary reforms," Kocijancic said at a press briefing in Brussels. Ukraine has been committed to adopt a wide range of economic, judicial and financial reforms, among others, under its association agreement with Brussels. The agreement, drafted back in March, is a stepping stone toward Ukraine's entry to the 28-member European Union. Kocijancic also confirmed that the first session of the EU-Ukraine Association Council will be held on December 15. It is expected to be attended by Ukrainian Prime Minister Arseniy Yatsenyuk and EU Commissioner for Foreign Affairs Federica Mogherini, as well as EU Commissioner for Regional Policy Johannes Hahn. Mogherini is also expected to visit Moscow, but the date of her visit is yet to be set, Kocijancic added. 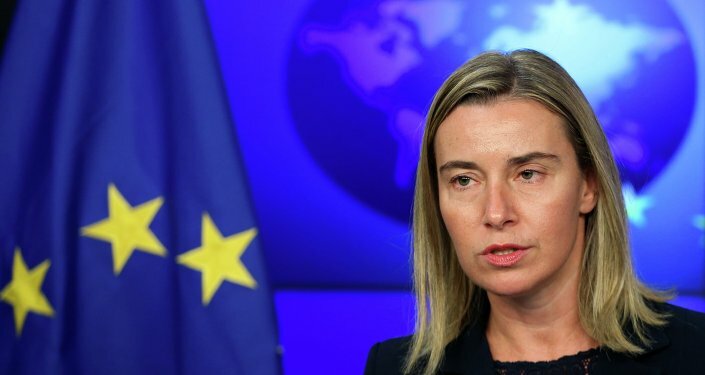 Mogherini told journalists in November that the idea of her going to Moscow for talks on Ukrainian crisis settlement had been raised by "quite many" countries, but she had not taken the final decision yet. The latest meeting between Russian Foreign Minister Sergei Lavrov and his EU counterpart took place on the sidelines of the OSCE ministers' meeting in Basel, Switzerland, where foreign chiefs discussed a range of pressing global issues like the Middle East and Syria, according to media reports.